Today (Friday the 13th) we did a route new to our group, a hike to the summit of Sunrise Peak. 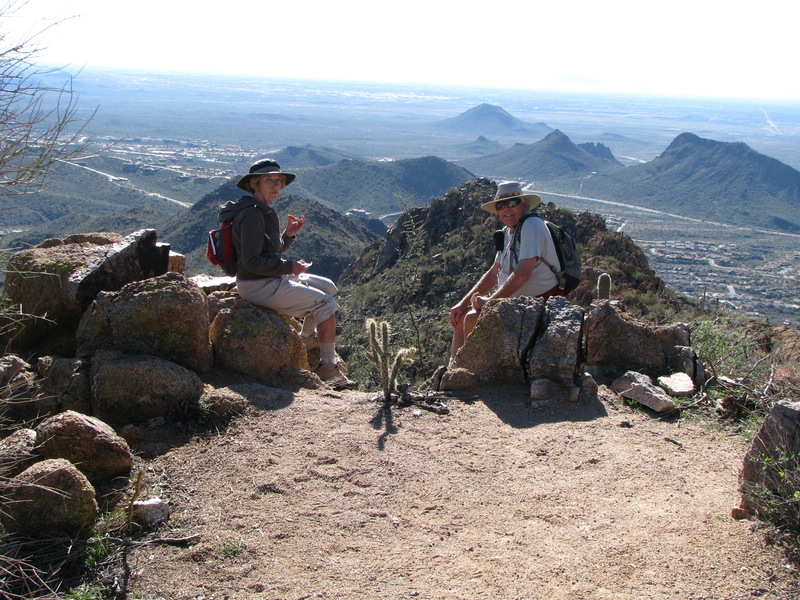 This peak is located in northeast Scottsdale in the city-owned “Sonoran Preserve”. 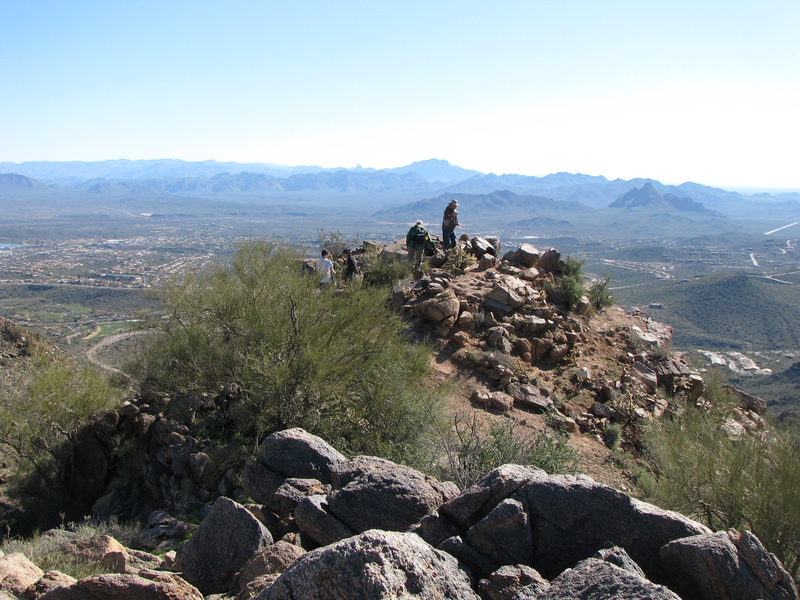 The “hikingaz” website lists the accumulated gain to the summit as 1590 feet. I think it’s somewhat less than that, perhaps 1200 feet, or maybe that 1590 is from a different trailhead. In any case, it qualifies as a Climb, roughly equivalent to Fremont Saddle in elevation gain but over about 2/3rds the distance. But it was cool morning, with a nice breeze, so it was just a matter of pacing yourself. As normal, I acted as the group anchor, being the last to summit. 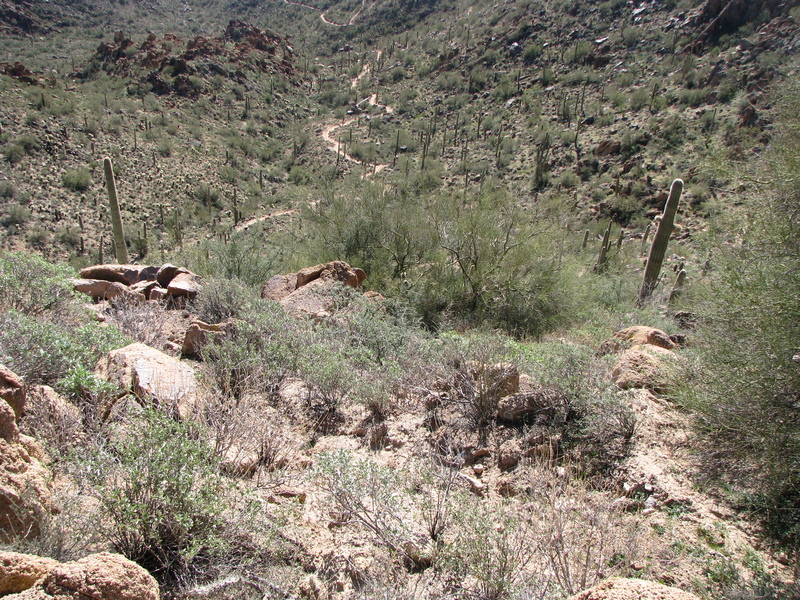 Most of the trail was in EXCELLENT maintenance with good footing and well planned routing so the grade was not extreme. Not extreme, but relentless! 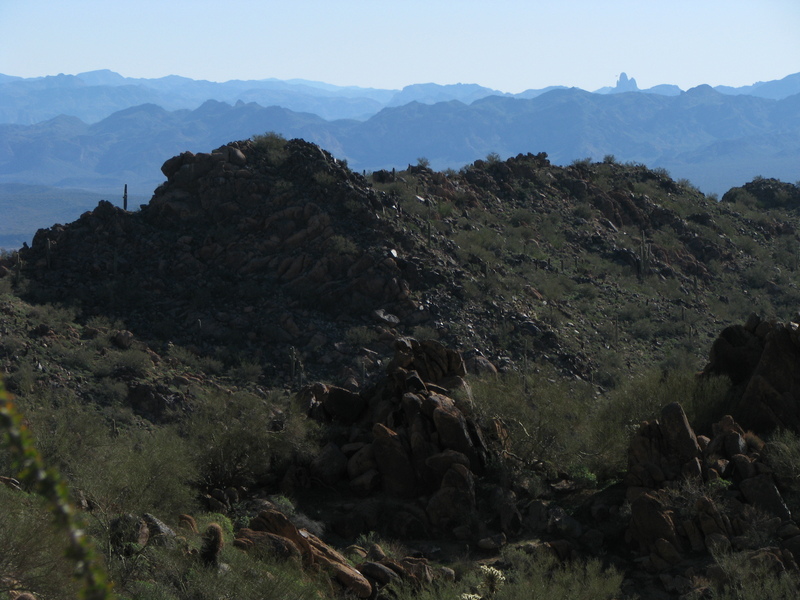 Along the way you get a lot of views of Scottsdale to the south and Fountain hills somewhat more distant in the north. 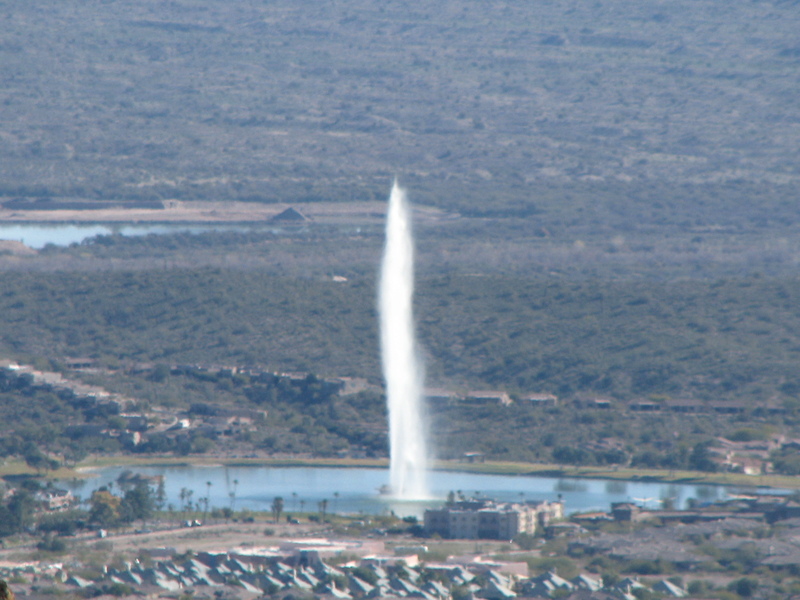 Here’s a llong-zoom shot from about 5 miles away of the famous fountain from which the city gets its name. The fountain rises some 250 feet skyward, and is billed as the 2nd tallest fountain in the world. The trail “crests” at a saddle between two summits, and this can be a good stopping point, then turn back. 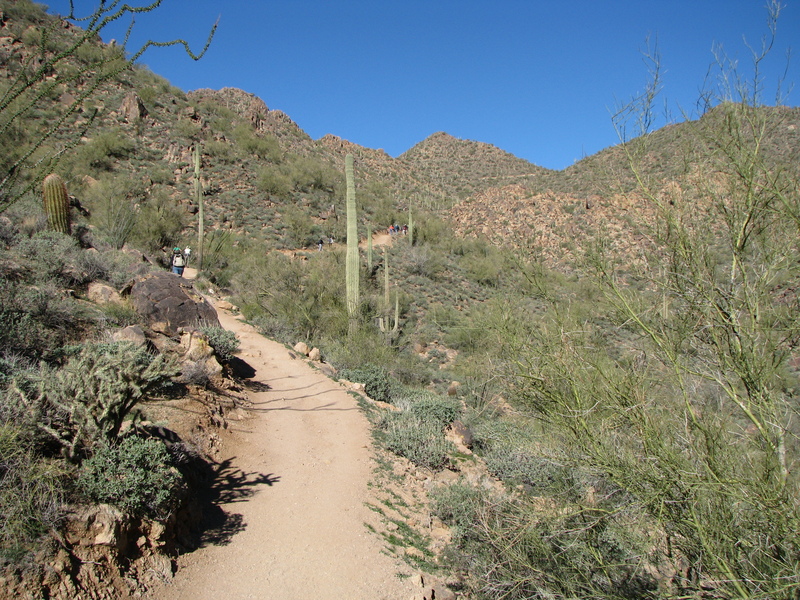 To the south of this saddle there is a quarter-mile spur which takes you up to the rocky summit. Here the going gets slower — still a decent trail sometimes rocky and “clamber-ry”, but pretty stiff grades and some “Mabel, don’t look down” spots, along with some great overlook spots. Where did YOU eat lunch today? All your work pays off at the summit. Enjoy the views!